Rebreather Instructor Trainer Course in Korea! 테크놀로지 (기술)을 굉장함을 다시 느낀다! 웹 세미나 (웨비나) 덕분에, 이번 주에 나는 한국에서 처음으로 리브리더 강사 트레이너 코스를 도와줄 수 있었다. 3명의 PADI 코스 디렉터이면서 포세이돈 MKVI/SE7EN 리브리더 강사들이 이 트레이닝을 완료했으며 곧 PADI 포세이돈 리브리더 강사 코스를 제공할 수 있게 될 것이다! 3명의 강사 트레이너인 강정훈, 임용우, 송규진 코스 디렉터님들께 축하를 드리고, 영희 하니스님과 김부경님께 코스를 진행할 수 있도록 도와 주심에, 또한 통역을 맡아 주신 영희 하니스님에게 진심으로 감사드립니다. Technology is amazing! 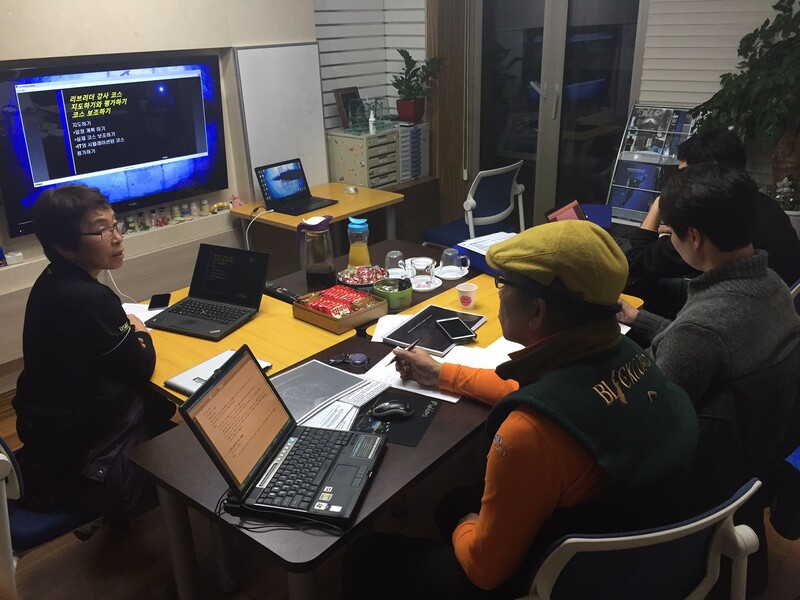 Thanks to webinar software, this week I was able to help with the first Rebreather Instructor Trainer course in Korea. Three PADI Course Directors and Poseidon MKVI/SE7EN Rebreather Instructors completed the training and will soon be able to offer PADI Poseidon Rebreather Instructor courses! Congratulations to our three Instructor Trainers, Mr Song, Mr Kang and Mr Im and many thanks to Young Hee Haniss and Boo Kyung Kim for organising the course and to Young Hee for translating.